The tour is available from May to September. Start time is 8:30 a.m.
Tours run with a maximum of 5 people per guide, but you may book as fewer participants. Larger groups will be split among guides. Kids 14 years old and up may join the trip. Participants should be fit and experienced hikers, a plus is previous high altitude exposure. What to bring? Mountain boots designed for crampon attachments (if you're unsure, feel free to ask us), backpack, warm windproof layers, sunscreen, sunglasses, lip protection, lunch, water and a camera. As with all outdoor activities, we recommend you have sufficient insurance. 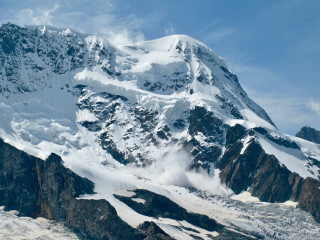 There's a reason Breithorn means "broad horn." 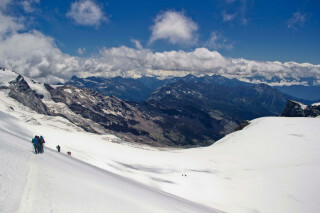 This giant summit on the Swiss-Italian border sits at a massive 4,164 m (13,661 ft). Mountaineer your way up this well-known peak to experience the frozen serenity that only high mountain treks can bring. Your guide picks you up in Interlaken at 6 a.m. or you can meet at the Zermatt gondola at 8:15 a.m. to receive your mountaineering equipment. The 45-minute ride brings past panoramic views at over 3800 m (12,500 m) to arrive at the famous Matterhorn mountain. Take in the atmosphere and admire the iconic Mont Blanc in the distance, the tallest peak in the Alps at 4,809 m (15,778 ft). Whether or not you have mountaineering experience, this manageable route is for those with decent physical fitness and a love of nature. Through the 1.5-2 hour route up to the top, pass over a glacier with deep crevasses of bright blue. Step your crampons into the ice and admire the complex icy patterns and smooth sheets of snow. With the expert equipment provided and your certified mountain guide, the technical parts of the hike are manageable and incredibly enjoyable. 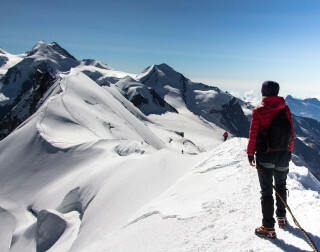 After you hike over the Breithorn plateau, overcoming a mean incline of 35 degrees brings you to over 4,000 m. From this summit, take in the views of over 30 Swiss and Italian summits peak through the monumental landscape, like Dent Blanche, Obergabelhorn, Zinal Rothorn, Weisshorn, and Mischabel. Take in the beauty as you breath in at over 4,000 m. After a break for rest and some lunch, you continue back down to the Klein Matterhorn. The 1.5-2 hour descent along the mountainside and glacier provides just as much thrill as the ascent. 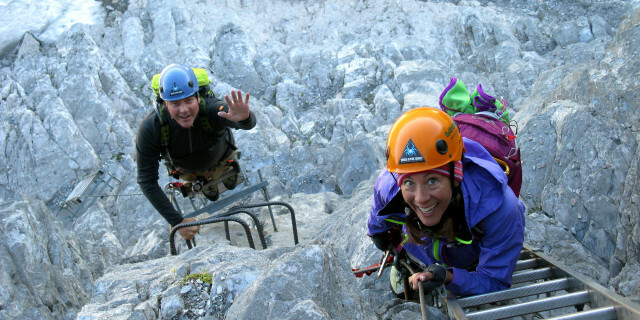 Mountaineering combines a passion for nature, adventure, and high altitudes. 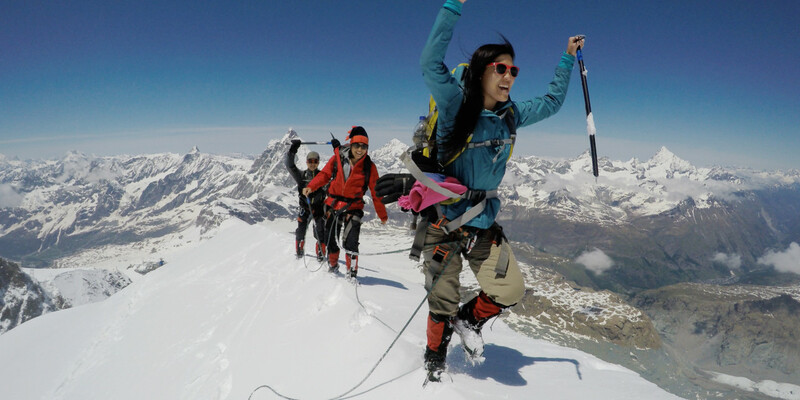 Hike your way up the Breithorn summit to reach unbelievable views of some of the most famous mountains in Europe.